More and more in my practice my preparations are partial coverage. Our ability to use all ceramic restorative solutions and adhesive bonding to seat have allowed this increased conservation of tooth structure. This trend has also brought with it more and more preps that lack traditional retention and resistance form. One of the inherent challenges with partial coverage preparations is temporizing and cementing these interim restorations in a way they stay put. I often joke with my patients that I expect one of two things from their professionals, they will either come loose all the time and drive us both crazy, or they will have to be cut off the day we have them back to get the final restoration. As humorous as this may sound, it seems to be accurate. If I had to chose I would prefer cutting the provisionals off versus having to recement them daily for many reasons, not the least of which is bacterial contamination of the prepared tooth. More and more I am cementing my partial coverage provisionals , both anterior and posterior using a spot etching technique and a flowable resin. The first step is to air abrade the inside of the provisional. 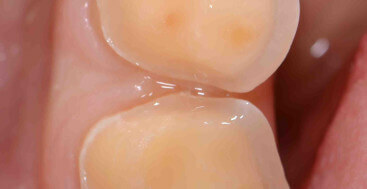 I place a substantial spot, 3mm diameter, of phosphoric acid etchant on the tooth. I etch int he middle of the labial surface on an anterior tooth and int he middle of the occlusal table on a posterior tooth. Make sure where you are etching is on dentin, and far from the margins. I then fill the provisional with flowable resin, clean the excess and light cure. Most often I will need to cut off these provisionals. Since I will be bonding the final restorations I will be anesthetizing one way or the other. I use a small carbide bur (330) and place two slices, creating an “x” across the area of the provisional over where it was etched. Placing an instrument int he slices I twist until the resin releases. 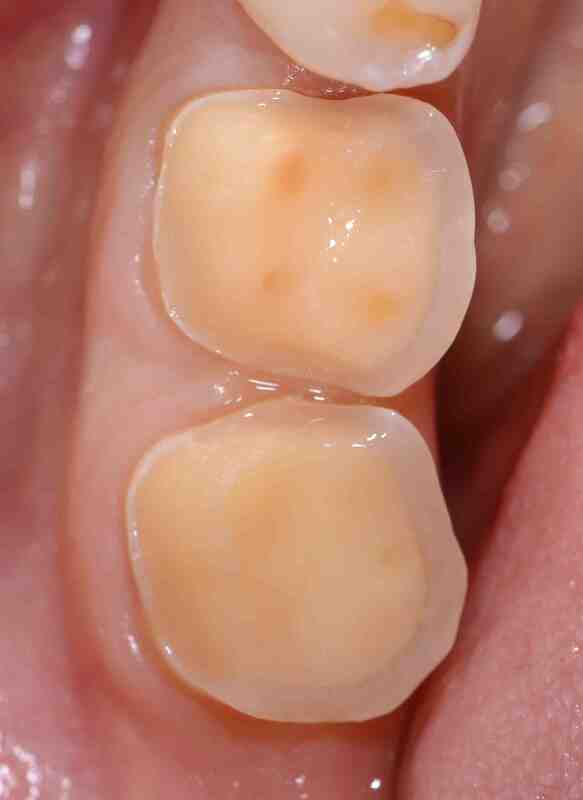 Any excess resin can be easily removed with a silicone brownie point without altering the prep. I have also found temporizing to be difficult. Are you using a bonding agent on the tooth after you etch before the flowable resin when bonding the temps? Also after removing the temp do you need to air abrade the tooth or just re-etch the entire surface? Thanks for all the tips! Keep them coming. I do not use any dentin adhesive, just the etch and then the flowable. You can use air abrasion on the tooth, I do not, I simply remove any of the flowable with a brownie point and then etch again before placing the ceramic restoration. Great post! I have been using durelon with double liqid and vasoline to cut the strengh for this situation for a long time, that works well, but what an ordeal to clean it off. Not too esthetic compared to your technique, either. We will definately give this a go! Thanks! Lee, Do you give a mandibular block when cementing lower molars or have you found an infiltration to provide enough anesthesia for patient comfort? I give a block some of the time, but have to say it isn’t that frequent when cementing. However if I am bonding int hre restoration I do get the patient numb with a block for a lower molar and an infiltration from the premolars forward. I am very thankful to you for sharing your thoughts and techniques. Can you tell me any tips about removing a permanent crown that I have cemented with a temporary cement. I have tried everything.